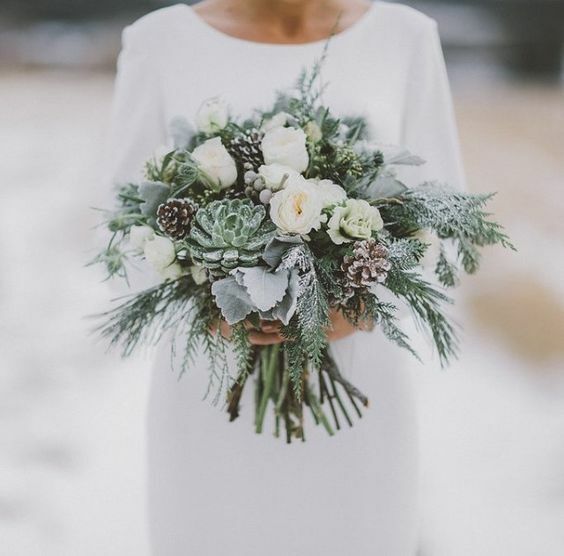 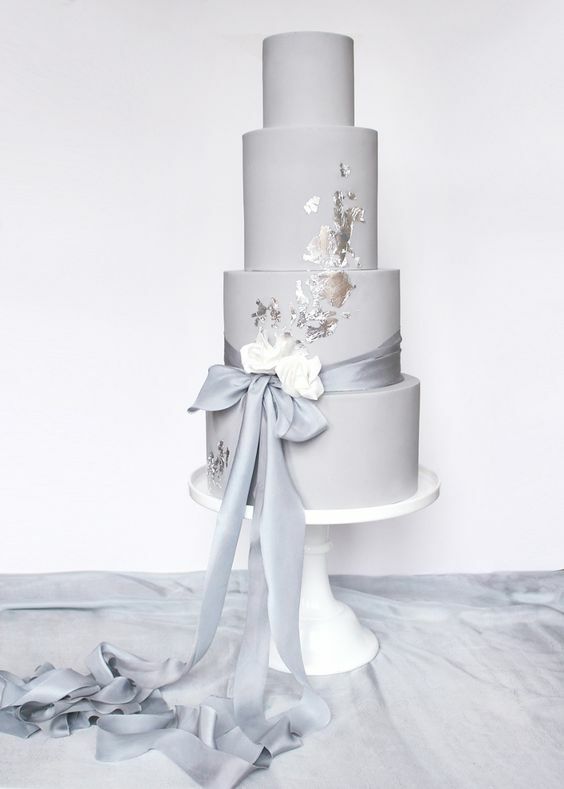 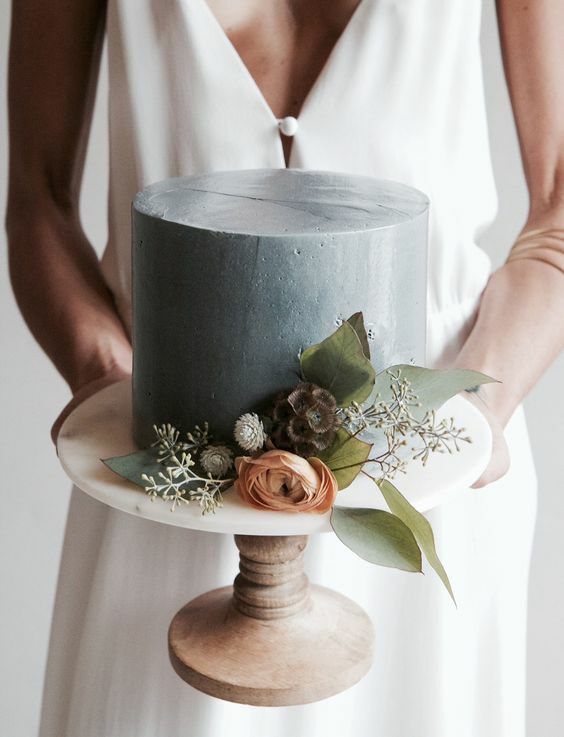 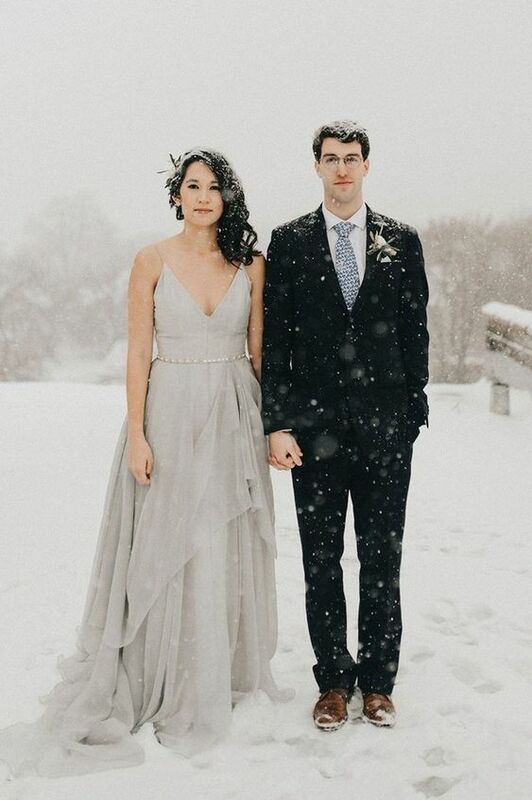 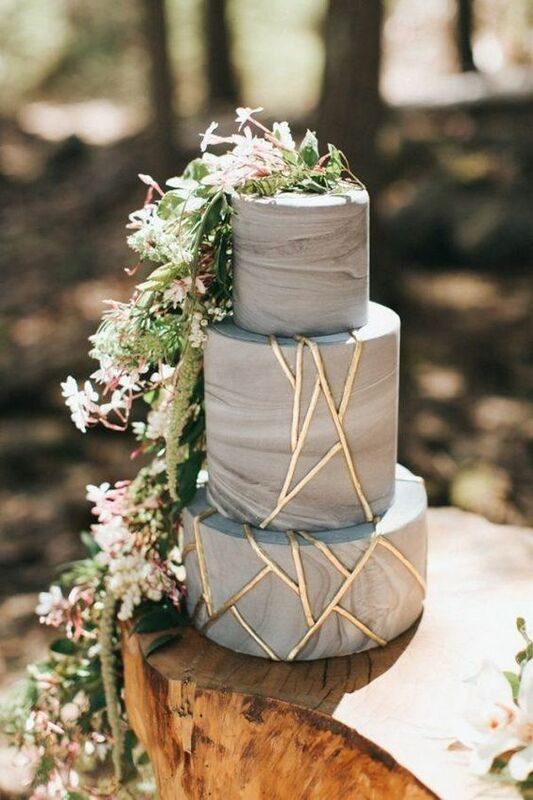 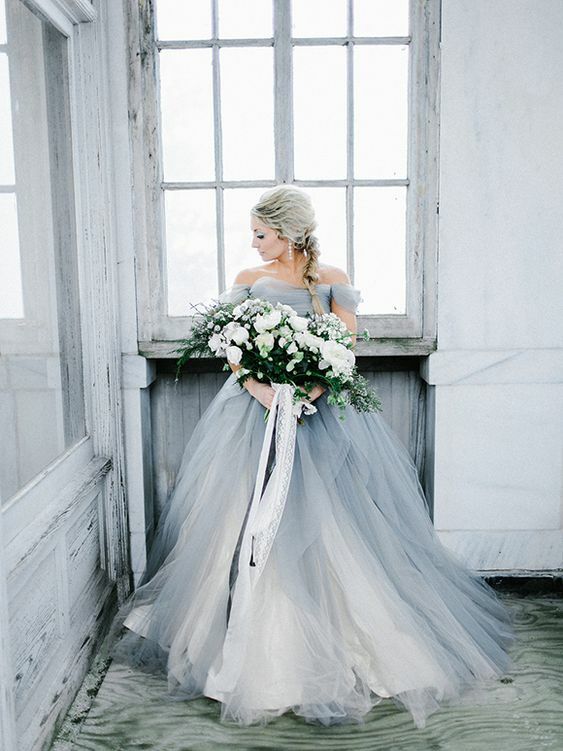 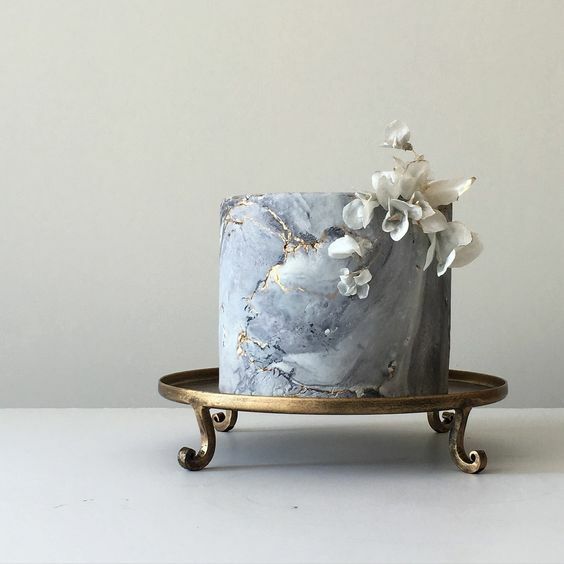 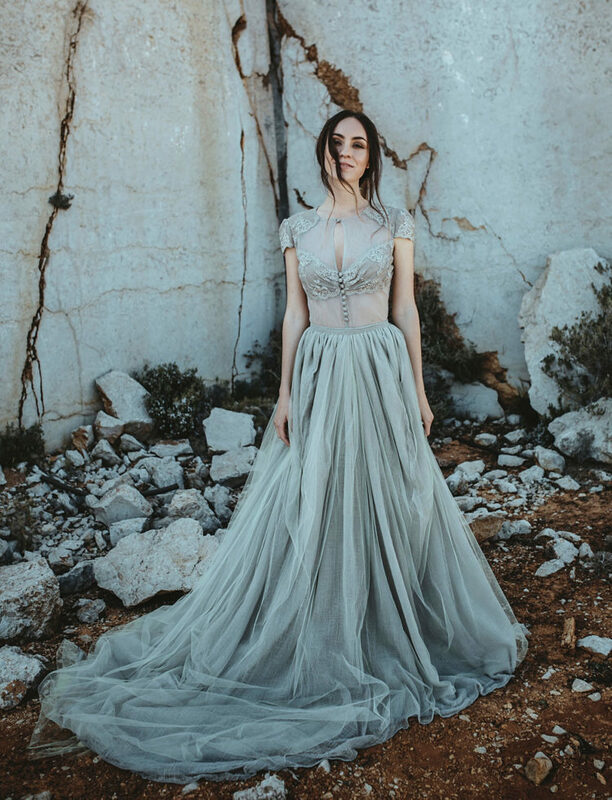 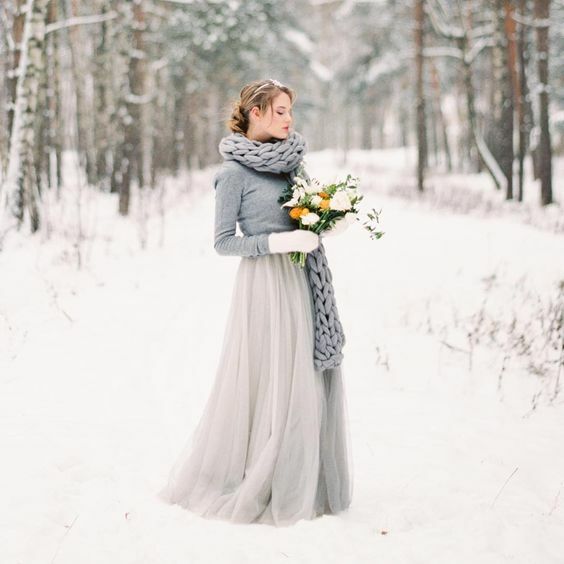 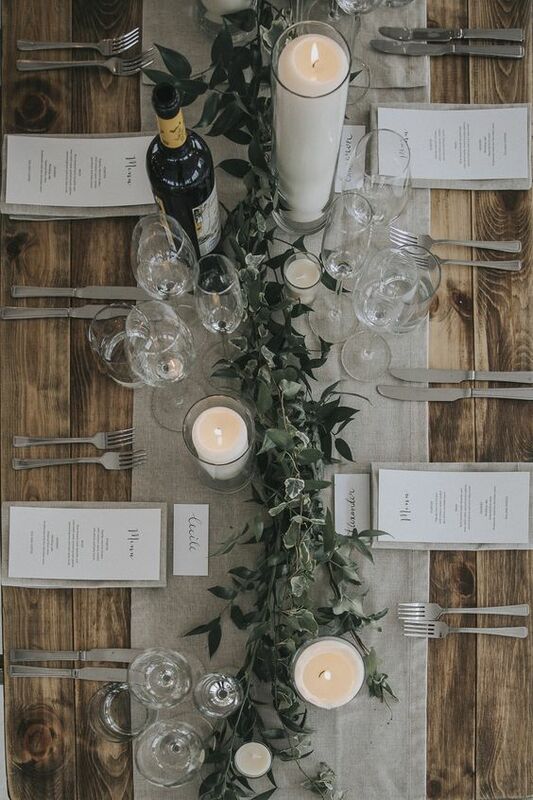 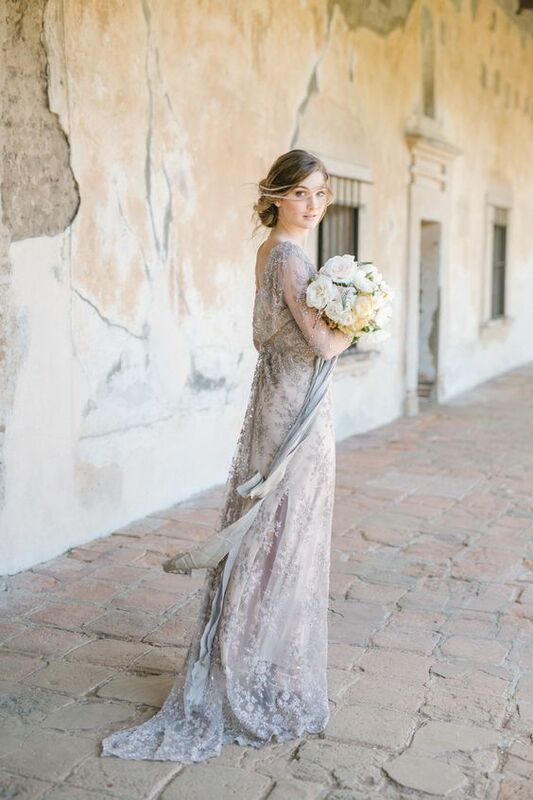 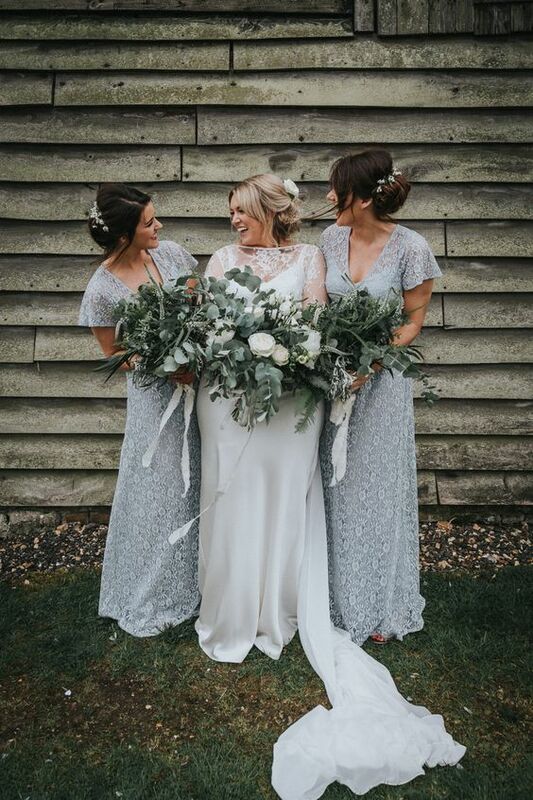 One of the most popular wedding dress colors now is grey, and rocking a grey wedding gown guarantees a trendy look in any season. 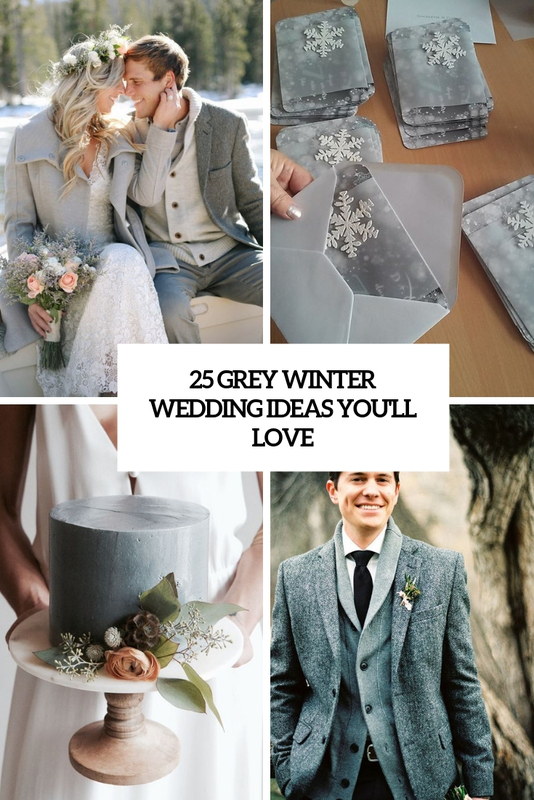 Choose a design, silhouette and neckline you like – there are tons of shades of grey available, so that every girl could find something. 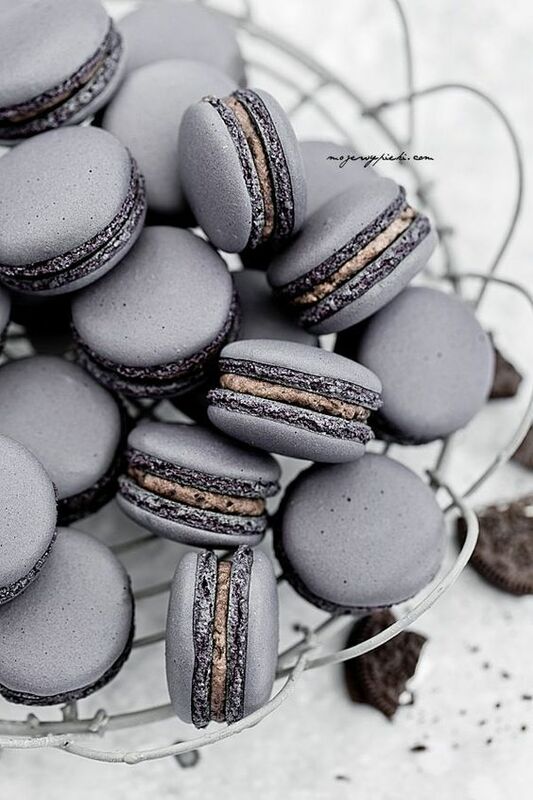 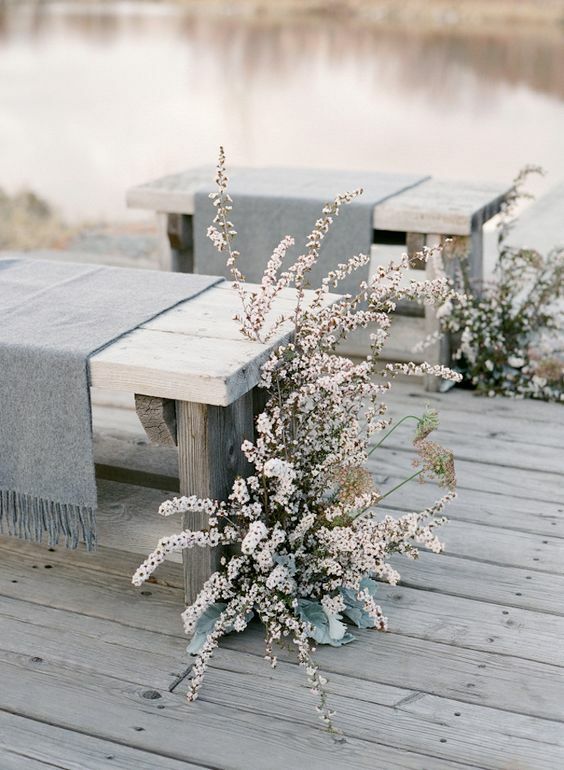 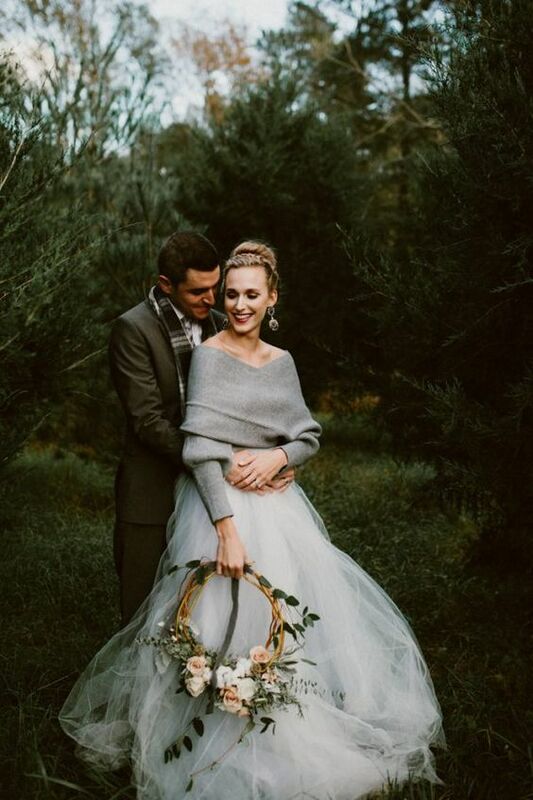 You may also wear a grey coverup – a coat, a cardigan, even a sweater or create a fashionable bridal separate with a skirt and a grey sweater. 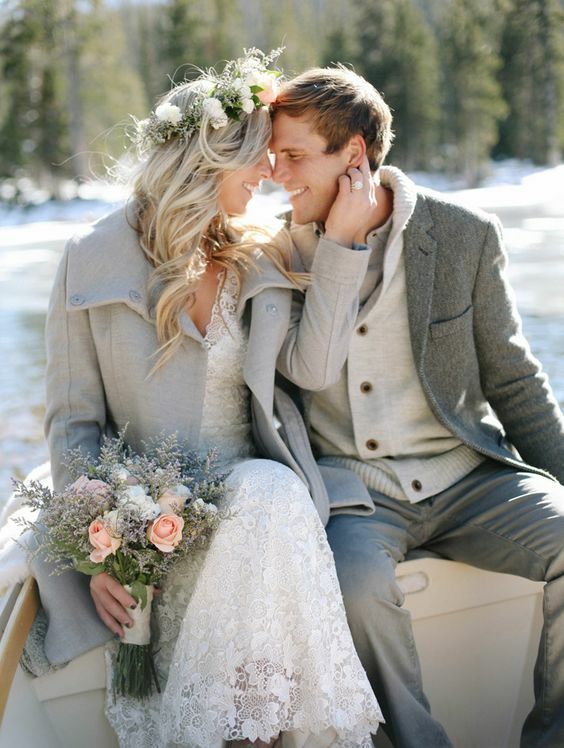 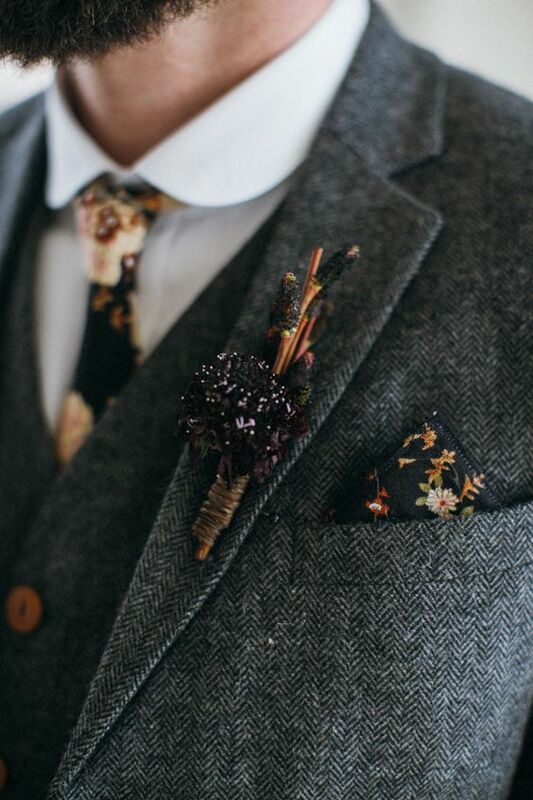 Winter grooms may wear grey tweed suits, better three-piece ones. 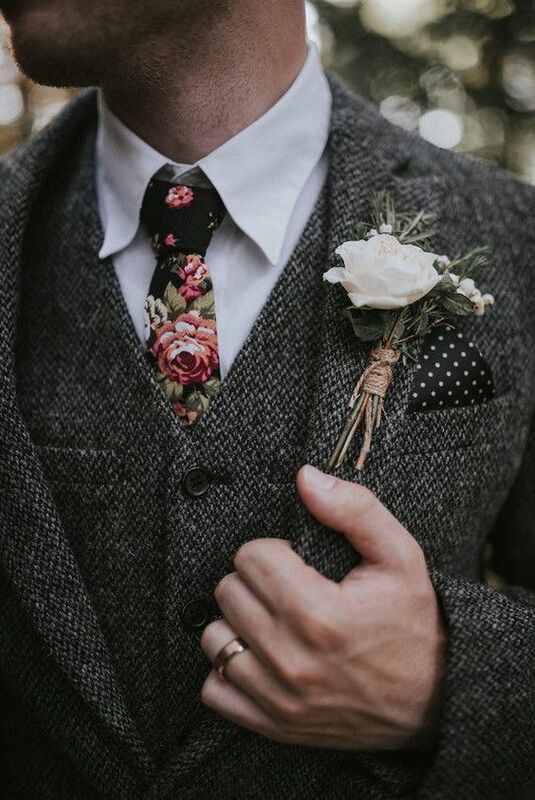 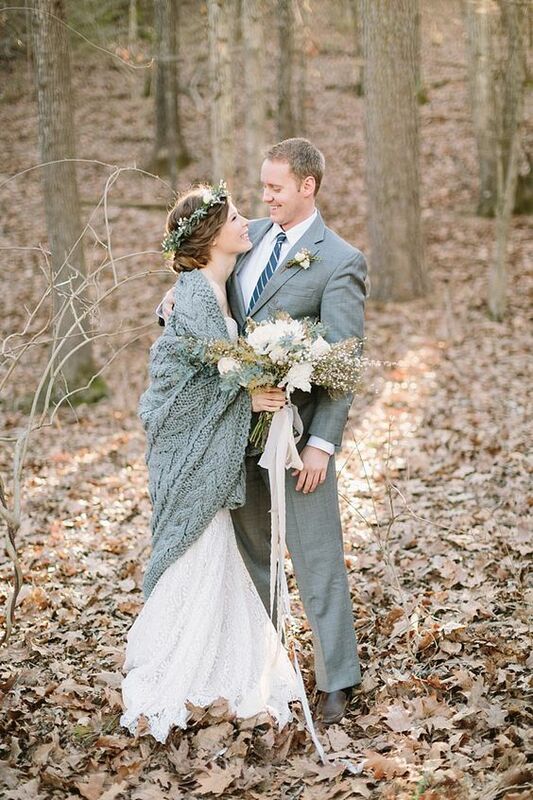 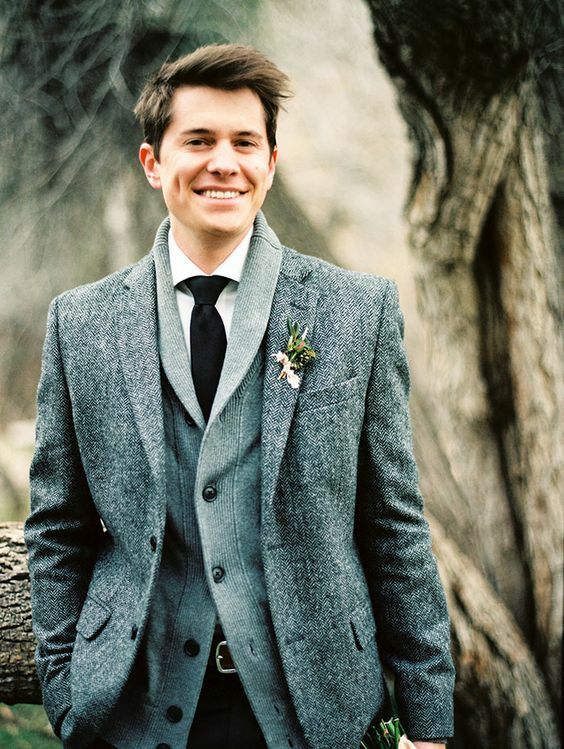 Grooms may also layer the outfit wearing a grey tweed suit with a grey cardigan underneath. 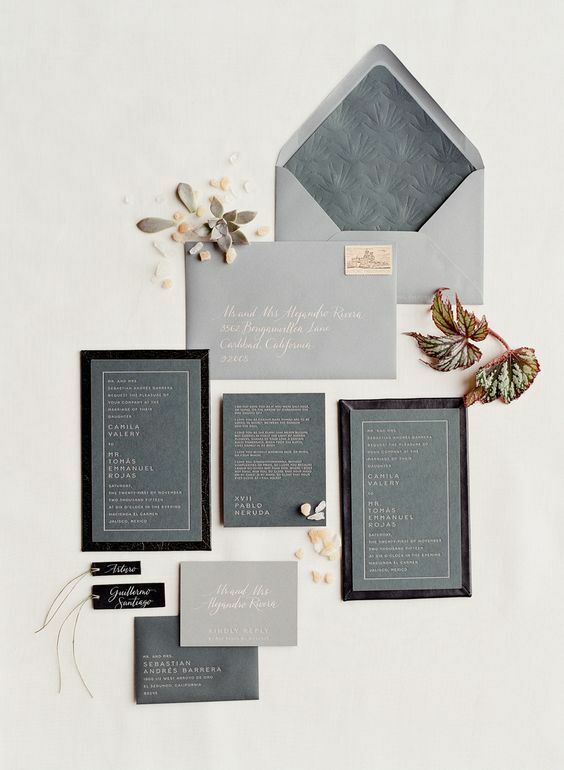 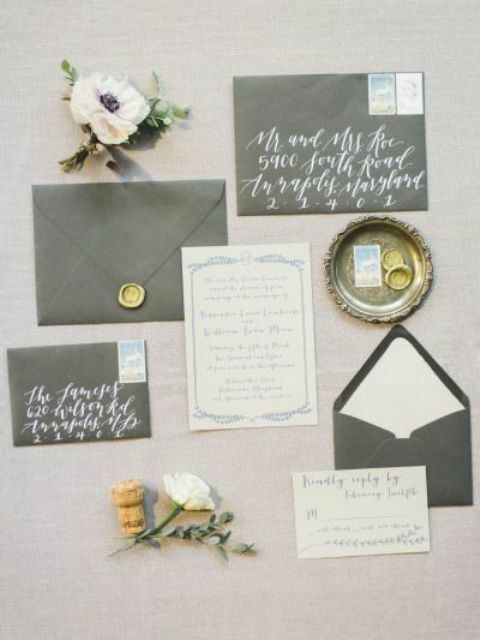 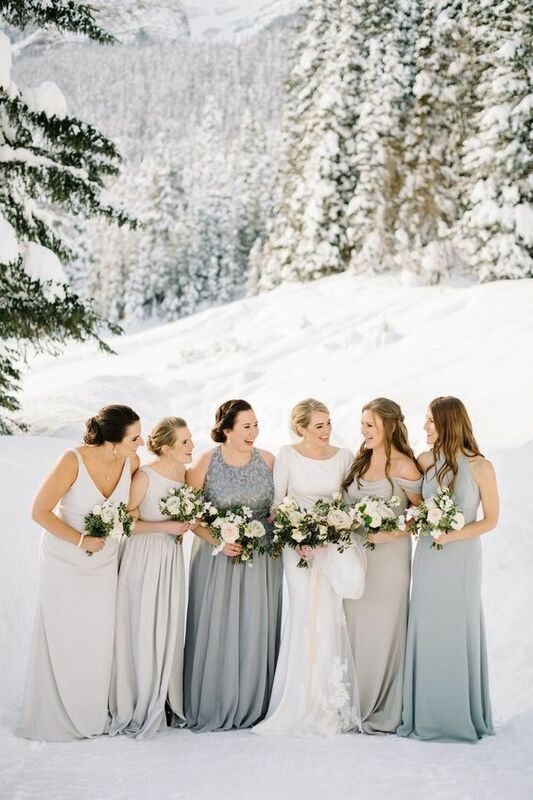 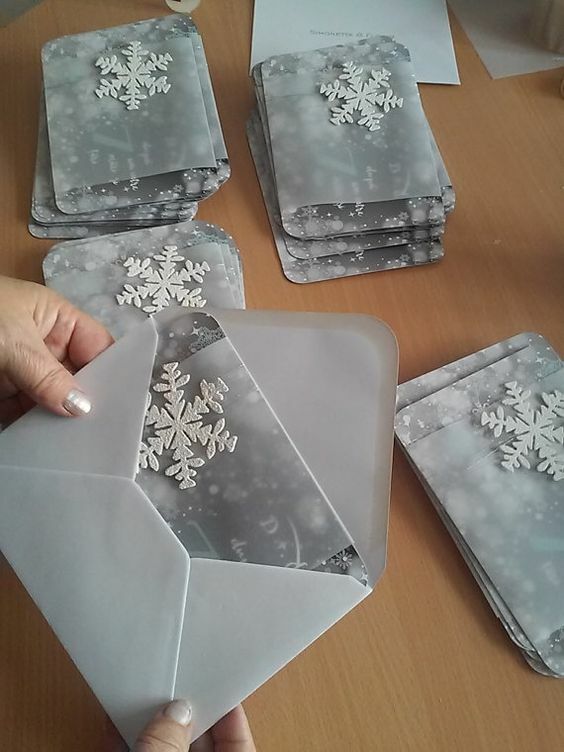 Bridesmaids can also wear grey gowns of various looks and designs, offer various shades and let them choose.